Sideways was a painfully funny movie in 2004, that piqued my curiosity for wine. Believe it or not, it wasn’t until then, that I decided to do some exploring, and ordered wine with dinner and pairing it with the food. This process took a while, but, little by little, I would acquaint myself with the various grape varieties. 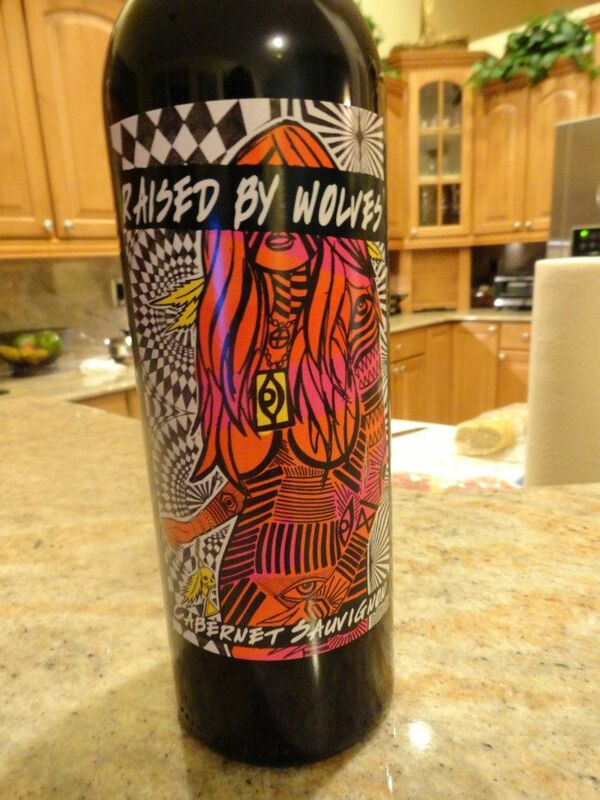 It didn’t take long for my palate to fall in love with this magical juice and enjoy every aspect of wine tasting. Of course, I was still in the learning stages because, I had no knowledge of the wine making process, and how it went from the vineyard into the wine glasses. In August 2008, my hubby and I took a Mediterranean cruise to celebrate our wedding anniversary, and met the most wonderful people. Some of them, I have kept in touch with, and became very good friends. Tonia, in particular caught my attention, because I was intrigued the way she was pairing all her meals with a wine. At that time, I was still considered a novice, and was “thirsty” to learn more about the art of wine tasting. I realize, she was pairing a different wine with each course, including dessert. At that point, I was eager to discover more about this interesting experience. As I continued to learn about food, people, and cultures, I became fascinated with the world of wines. 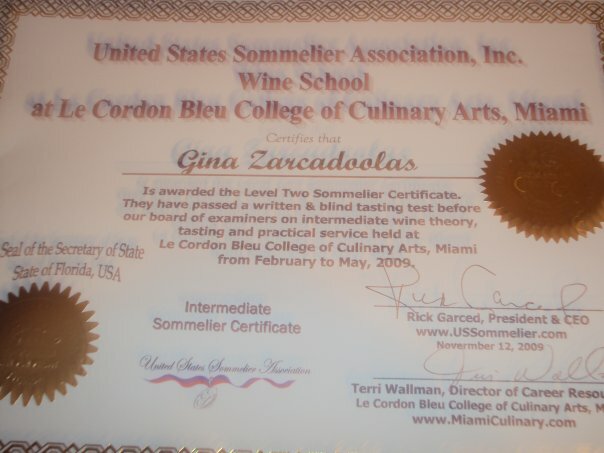 It prompted me to attend the United States Sommelier Association, at the Cordon Bleu in my town, in 2009. I studied under the guidance of the wine master, Rick Garced, and learned about the wine making process. I tasted delicious wines from the most famous regions around the word. I also learned how to pair food and wine harmoniously. I met the most amazing and kind-hearted fellow sommelier(s), and instantly made a connection with some of them. We had tons of fun in class and studied together for the test. Oh, how I dread that word, because it flares up my anxiety. I remember not sleeping the night before because I was too nervous, but with all the studying and the support of my classmates, I passed the blind tasting and the written test with flying colors. It was a big deal for me and for all of us, after spending hours studying and sipping wine together. After earning our certificate of achievements, we would organize wine gatherings at our houses, and enjoy some luscious wine and food pairings. There was always a theme, and each person would bring a wine from a particular country/region and a dish to pair with it. Since then, we have attended a few more masterclasses together and continue to gain knowledge in wine tasting. It’s been nearly 14 years that I have been sipping and savoring on red wine, but my passion for white wine has evolved over time. I am fortunate to have visited some of the most renowned wine regions like Napa Valley and Sonoma in California, and Long Island, New York. Most recently, my dream came to reality when I visited Tuscany, Italy, one of the most famous regions in the world. There are so many more regions and wines to explore, but one of the best ways to learn, is to drink wine, write notes, take pictures of the labels, and document them. I also learned how the terroir has a major effect on the wine. The root of the word is terre, which means land/soil in French. Today, I will share with you the art of wine tasting. You will be using your sense of sight for the appearance, smell for the nose, and taste using your palate. First, place a white paper or cloth on a table, pour about an ounce of wine in a clear glass, tilt a little and look at it. Make sure it’s sound. Next, you need to swirl it to bring out all the fragrances, then smell it, sniff it so you can get a whiff of the aromas. Please keep in mind, wine tasting is subjective and there is no right or wrong in my opinion. I may smell black pepper while someone else detects licorice. Lastly, the best part, it’s time to taste. Take a sip and swirl it around your mouth, keep it there, you will be doing an inhaling motion with your mouth slightly open, repeat at least one more time, then swallow. At this point, you will determine all the flavor profiles in the wine, this can take some time for the more complex wines, as they are layered with various flavors. By tasting the wine, you will find out the acidity level, the sugar content, the tannins, the length, the alcohol level. When all these are in perfect harmony, it is said to be a well-balanced wine. As you swirl the wine, you will notice the dripping on the inside of the glass, commonly referred to, as legs or tears. The slower the legs, the higher the alcohol content. You will also learn about the length of the wine. That is determined by how long after you swallowed the wine, the flavors remain in your mouth. The more lingering the length, the better the quality of the wine. A low-quality wine is known to have a short finish, meaning, as soon as you swallow it, the taste disappears from your mouth. I’ve recently attended the acclaimed James Suckling’s Wine Tasting events: Great Wines of Italy and Great Wines of the Andes in Miami. I tasted some of the most delightful and highly rated wines. In December 2016, I decided to pursue my studies further, and attended the world-renowned WSET: Wine, Spirit, Education Trust. The class was taught under the supervision of the James Beard award-winning wine and food writer, Lyn Farmer. I am proud to hold a second level sommelier certificate. I hope you have enjoyed my wine story and my photos. For more photos, please check out my Instagram page: Foodieandwinelover. This year, I will be working diligently on my cookbook that will include a treasury of my recipes, global cuisines and cultures, and food and wine pairing suggestions. I am also planning a trip to Cartagena, Colombia. Stay tuned! Cheers to a fabulous 2018!